Diana Wynne Jones is the author of many highly praised children's books, including The Lives of Christopher Chant. 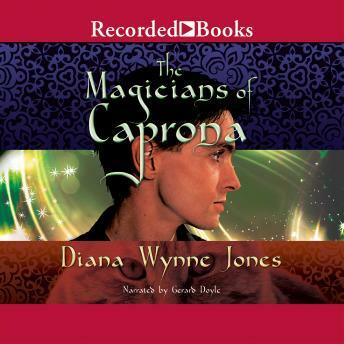 From the Chrestomanci series comes book number three, The Magicians of Caprona. For years, the Montana family has feuded with the Petrocchi family. But Tonino Montana must seek help from the Petrocchis, and a special cat, to save the city of Caprona and prove he deserves to live among the spell-makers.